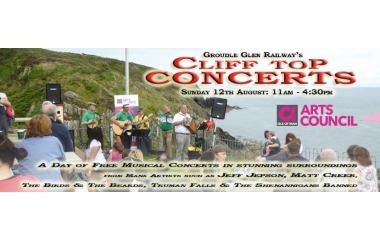 A day long series of FREE open air concerts by Manx performers at the beautiful location of Sea Lion Rocks. This year performers appearing include Jeff Jepson, Matt Creer, The Birds and the Beards, The Shenannigans Banned and Truman Falls. All supported by the Isle of Man Arts Council.